Mangrove Action Project CELEBRATING 25 YEARS: SAVE SEA – TURTLE! BAN FISHNET AS BANNED!! PLEA TO BOTH GOVERNMENTS OF INDIA!!! SAVE SEA – TURTLE! BAN FISHNET AS BANNED!! PLEA TO BOTH GOVERNMENTS OF INDIA!!! 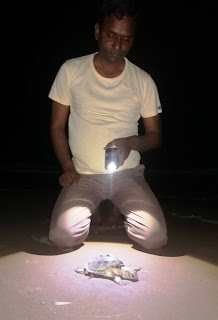 Aalamaram, one of the Non Governmental Organizations in India based Cuddalore District at Thiyagavalli Village of Tamilnadu has made a plea to the both governments of Tamilnadu and India that in the months of November, December and January of every year, sea turtle nesting be protected. In Cuddalore District, Tamilnadu, India, they are often destroyed before its cultivation because the fishermen use particular fishnet, having small holes. 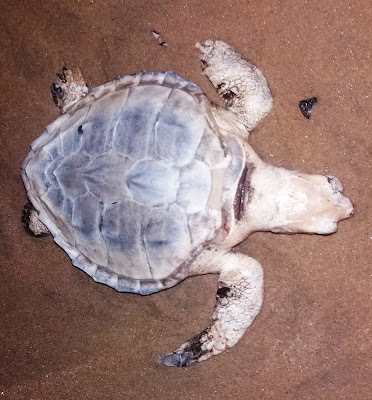 By utilizing such kind of small holes of Fishnets, which are banned but still spread over the sea by the fishermen, many turtles are destroyed. Though the See-Turtle is a fond of and a friend of Fishermen. it is very sad that they are so impacted while Fishermen hunt different kinds of Fishes for Trade motivation. The culture and fertility of sea-turtle eggs are being excavated and buried. A plea is put forth and brought notice to the both governments of Tamilnadu and India. that they take necessary steps to control the fishermen from using such kind of Fishnets. If both governments fail to save Sea-Turtle, the complete generation could be dead and lost without and any prodigy for future. Aalamaram takes several steps to protect the sea-turtle as an important marine organism.